Happy Wednesday. I'm sure you already know but the Nordstrom sale will soon be coming to an end. 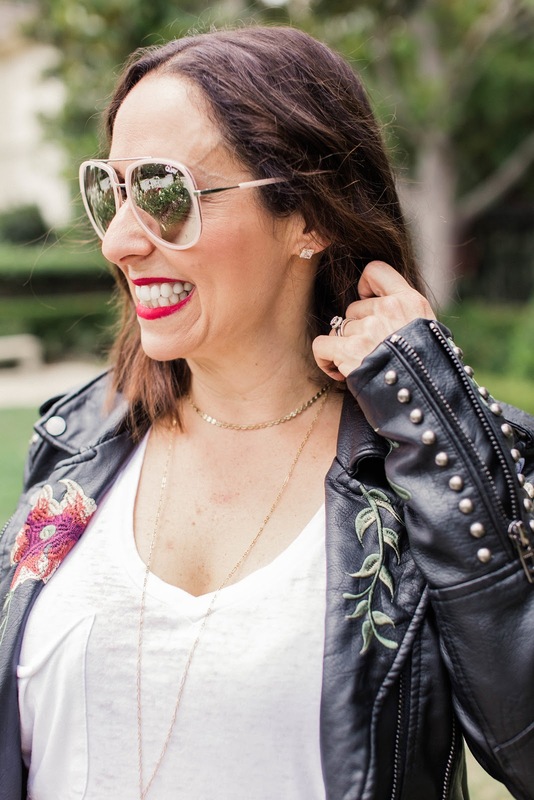 One of my favorite pieces this year is this rocker chic leather Moto. 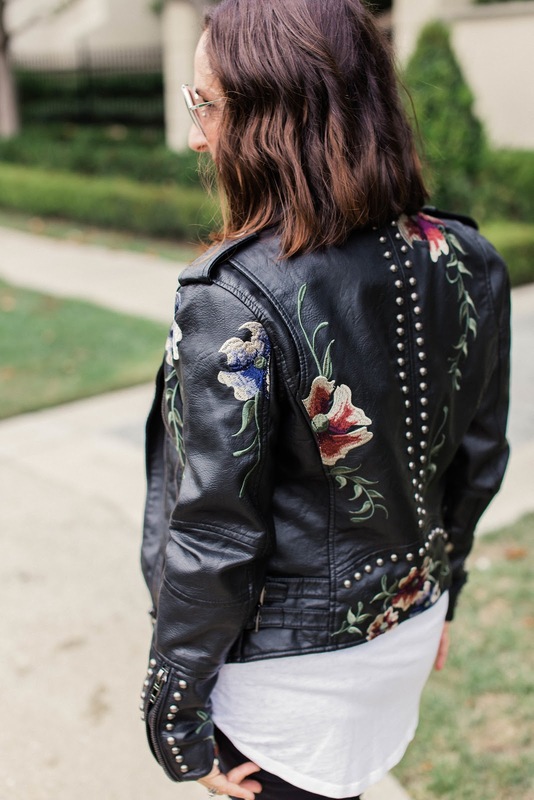 Do you currently have a good Moto jacket in your closet? Well, you need one in your closet and this one is perfect . A great Moto goes a long way. You can literally wear it with EVERYTHING!!! Over jeans and a tee is my favorite look. 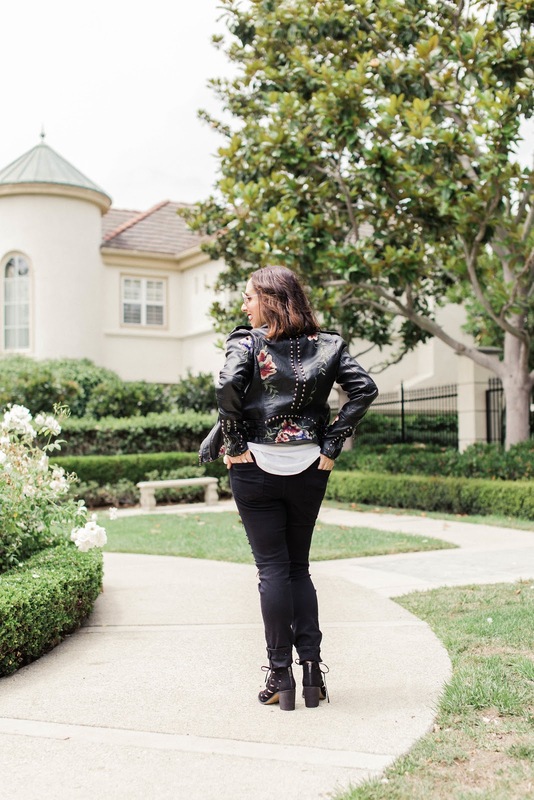 I paired this jacket with my favorite black skinnies that your probably see me wear nonstop. I added a basic tee, some open toed booties and my new favorite sunnies and this look was complete. 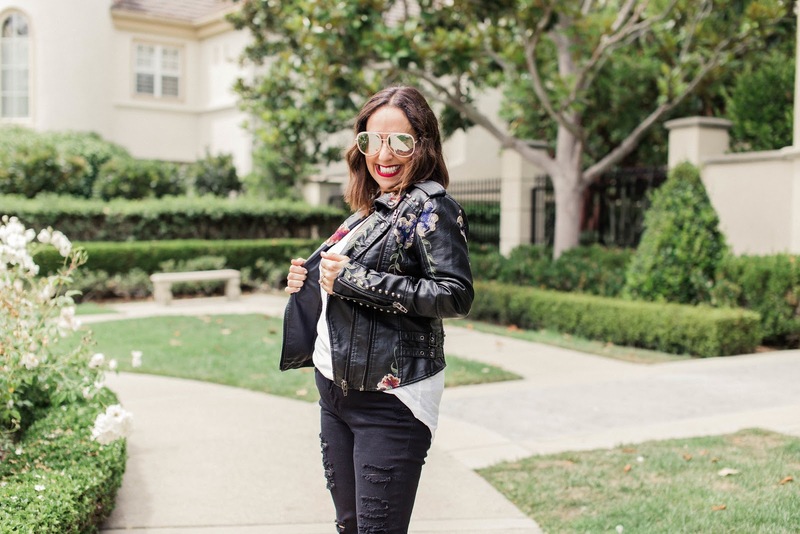 What do you think of the Moto jacket trend? I would love to know your favorite ways to incorporate this cool piece into your existing wardrobe. Thanks to Gabs Wells for photos. You can shop this look by clicking on the pictures and links above. Happy Reading!!!! I think this combo is perfect. Moto jacket is a thing that I like so much! I missed out on this moto, so I'm hoping its still around when I check right now! HA!! Love you gorgeous! Have the best weekend! !